Business analysis & Scrum Course! CV is a great way of showing your knowledge. But knowledge is Key, Learn key concepts of business analysis like stakeholder management, requirement elicitation techniques, requirement prioritization along with scrum agile to further improve your odds of landing your dream job. Enroll today to save 80% on cost. If you are an IT Business Analyst or planning to move into IT Business Analyst role, you will need a good CV/Resume to put forward your profile. IT companies have become very selective these days and if they don’t get appropriate information through your resume, chances are you won’t even get the call; forget about proving yourself in the screening process. 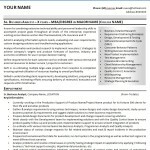 You can find a sample IT Business Analyst Resume here which is based on a IT Business Analyst profile for insurance domain. You will have to customize this resume to fit your profile but this is a really good cv for those who are looking for sample resumes. Analyze problems and resolve critical issues on priority having strategic impact on applications by applying / following business / technical support concepts, departmental procedures, etc. Description: (Product Name) is the most complete new business risk assessment and process management solution. It is a new business system capable of supporting multiple products, distribution channels and administration systems, based on web technology and robust business processes model needed to seamlessly integrate new business. Product Name/Project Name comprises of underwriter workbench, new business process automation, policy document management and work flow-based work management. o Looking for suspicious transactions like cash deposits, frequent surrenders, assignment to unrelated parties, frequent requests for change in address, unusual termination of policy, payment by multiple DDs, etc.